Carrying case supplied with purchase. 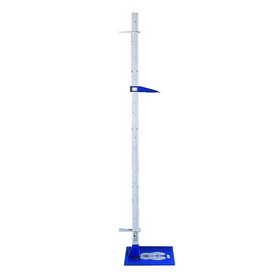 The proven and improved design Leicester Height Measure is recommended by the Child Growth Foundation as being the most cost effective instrument allowing measurement accuracy to the nearest 1mm. 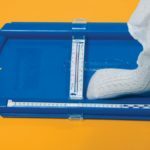 Though this might not be essential for recording BMI, 1mm accuracy is crucial for mainstream growth monitoring. 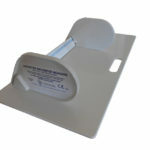 The Measure is a free-standing, toughened plastic and portable standiometer allowing a standing-height measurement to be recorded almost anywhere. 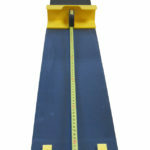 Its four upright sections, measuring arm and stabilisers can be installed/dismantled within seconds.